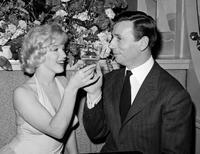 Yves Montand at the opening of Saville Theatre, to perform his internationally one-man show "An evening with Yves Montand". 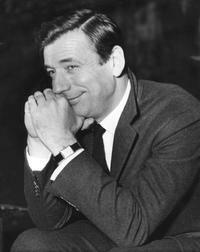 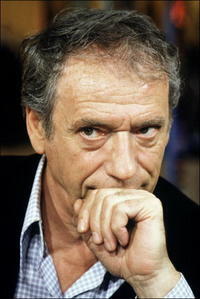 Yves Montand at the stage of the Theatre de l'Etoile. 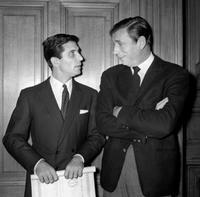 Yves Montand and French crooners Gilbert Beaud at the 1964 award ceremony during the "Grand Prix du Disque". 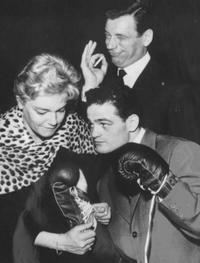 Yves Montand, his wife Simone Signoret and boxer Alphonse Halimi before the fight against Joe Beccera for the Bantamweight World Championships title. 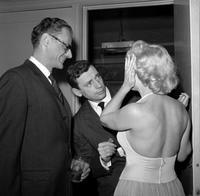 Yves Montand and Marilyn Monroe and at the screening of "Let's Make Love", with Arthur Miller. 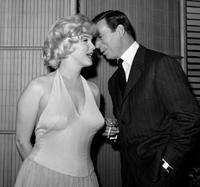 Yves Montand and Marilyn Monroe at the screening of "Let's Make Love".